Looking for a more engaging approach to teaching measurement that will produce a clear and lasting understanding? In this hands-on workshop, you will participate in a condensed version of a multi-day project designed to introduce measurement and the metric system to upper elementary or middle school students. Come to experience in “student mode” and discuss in “teacher mode” how the activities engage various scientific inquiry and engineering design skills, including prototype sketching, collaborative design, and communication. You will work through 3 scaffolded measurement tasks, including a full engineering design cycle, which will build a deeper understanding of the importance and purpose of the metric system. 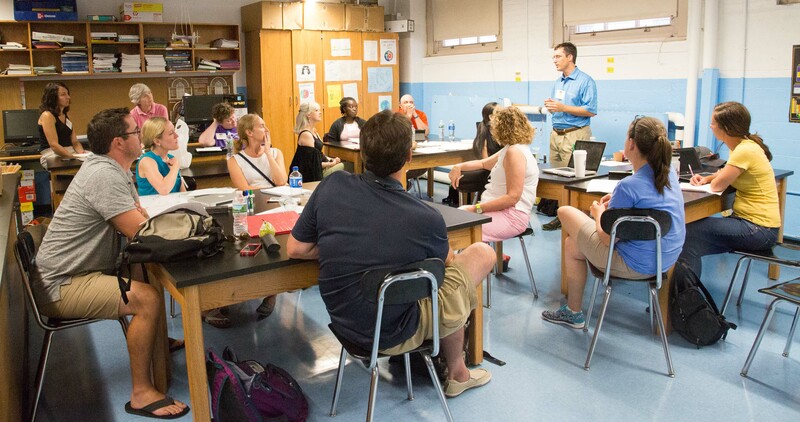 Leave this workshop with a collection of classroom-ready materials that meets a variety of NGSS Science and Engineering Practices as well as Common Core State Standards.